Every once in awhile, a story comes along that just makes you giggle. Thankfully, in recent news, we have found such a story! Well, probably the guy that got his window broken in the name of ice cream. You read that right. One ice cream truck driver got upset when a rival ice cream truck driver drove into his territory. Instead of handling the situation like adults and talking about it, the ice cream truck driver whose territory was infringed upon took matters to a whole different level. By smashing the other driver’s passenger seat window in with a brick. Turf wars have been a part of American society for awhile. Entering someone else’s territory has often been met with negative consequences. But who would have thought that would be the case for an ice cream truck driver? The MVD Express is much less territorial. In fact, we love it when you come into our “territory.” Come see us for all your MVD needs! And we promise we won’t break your window. 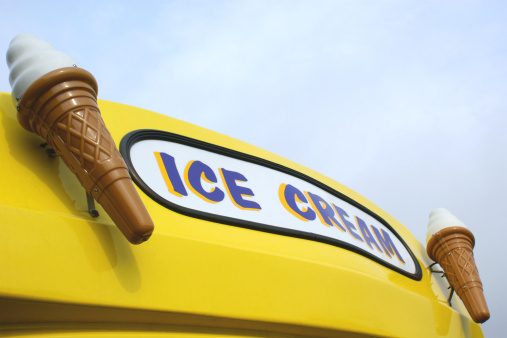 *Disclaimer: We make no promises to provide ice cream if you use our services.